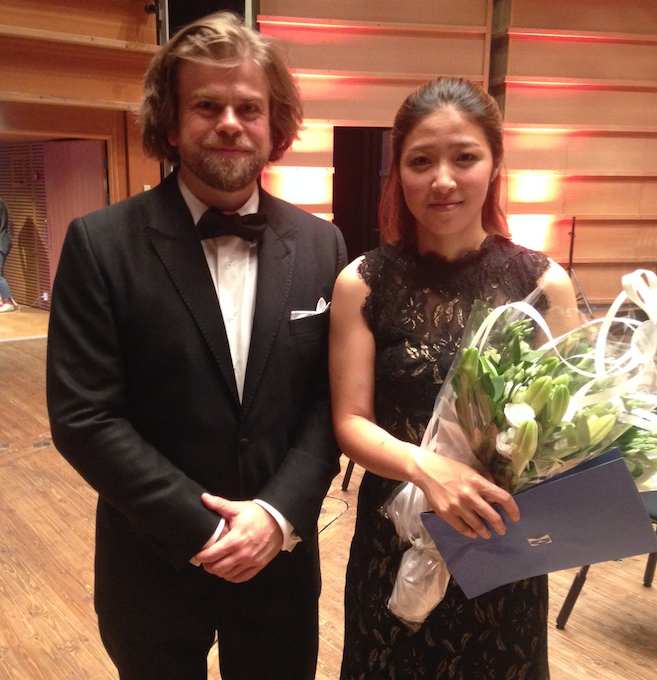 The finals night of the International Edvard Grieg Piano Competition, which took place at the Grieghallen in downtown Bergen on the evening of 10 September, was well worth attending. From an outsider’s point of view, it ran seamlessly from beginning to end – with three extremely competent, and musically different, finalists. The Bergen Philharmonic Orchestra and its Chief Conductor Edward Gardner not only accompanied the three finalists throughout the evening, but they performed a new commission by Norwegian composer Olav Anton Thommessen called MicroFantasi on Grieg’s Piano Concerto in A minor with Jarle Rotevatn as the piano soloist, and excerpts from the Peer Gynt Suite to end the concert. The Grieg Hall was full and the audience expectant. The first finalist on to the stage was Ben Cruchley (born 1986) from Canada. He chose the Schumann Concerto. In general, his playing lacked momentum and was a touch dry (give me more pedal, please). When he played a melody that containing chord progressions, they plodded, and I yearned for more natural phrasing. These moments came across as technically challenging, even if that might not have been the case. 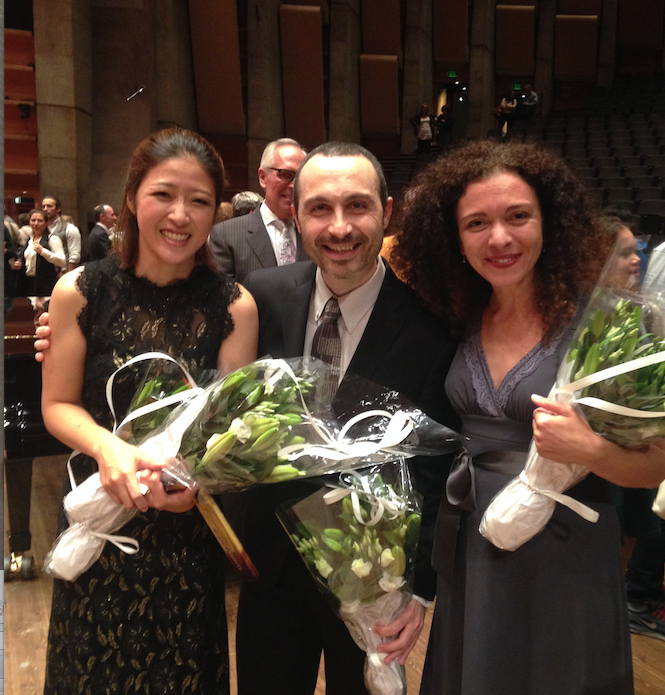 However, there was some elegant, heartfelt playing in the slow movement (with a sense of spontaneous fantasy) and the conversation between soloist and orchestra where the slow movement leads into the finale was convincing. Cruchley definitely came across best in the lyrical and slower moments. His third movement, sadly, was slow and turgid – again, I yearned for more forward momentum, plus passion and excitement. Too slow and too safe. The coda almost grinded to a halt. There’s no doubt Cruchley is a talent, but tonight wasn’t his night. I’d heard he’d played a remarkable second round, including a stunning Prokofiev 7th Sonata. One has to remember that these contestants have been through hours of rigorous playing before we hear them at the Finals. We have no clue how they played before. Zhenni Li from China (born 1987) was next with Beethoven’s Fourth Concerto. This was an exciting account from beginning to end, even if she sometimes strayed from the score and from what Beethoven might have intended. Beethoven writes pretty much perfectly for the piano, so why not play his music as is? Especially the runs, where Li tended to over-exaggerate many of them. However, her performance was spirited in the outer movements and her dialogue with the orchestra in the second movement was inspiring. Li is a real personality – she comes across as passionate, driven and resolute. 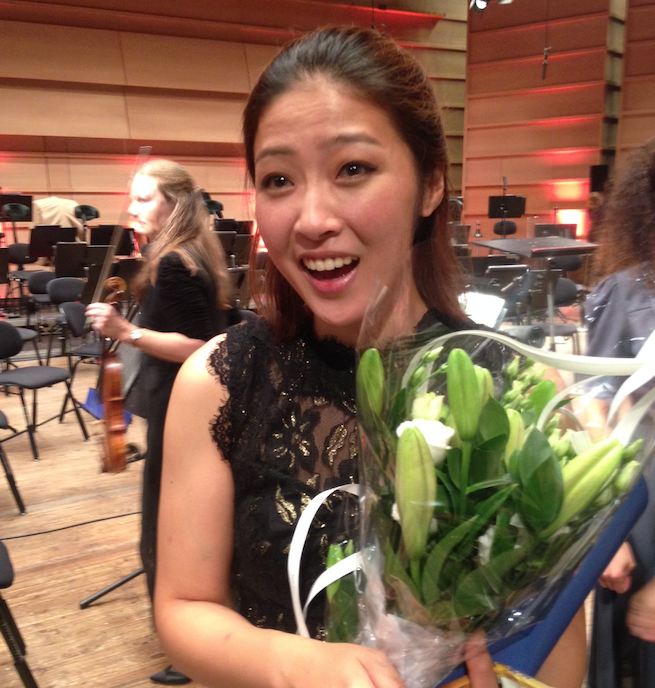 Finally, Ah Ruem Ahn from South Korea (born 1984) played the Schumann Concerto. Here was an utterly convincing account of this Romantic work, right from the very first bar. 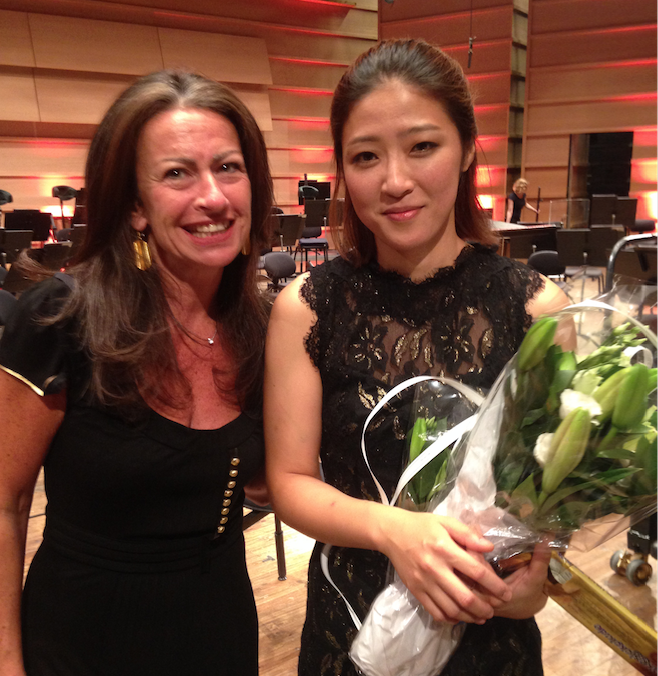 Ahn’s phrasing was exquisite throughout, and it was refreshing to see the soloist ‘work’ with the orchestra – I noticed she constantly looked up at the conductor. If anything, she played it a little safe – but ‘safe’ can often be the right way to go when in a competitive environment. Ahn showed a real understanding of rhythm and she also managed to draw out a singing tone out of the piano (not one harsh sound to be heard). And she danced her way through the last movement coda. A performance full of tenderness and passion – surely what Schumann had in mind when his wife Clara gave its premiere in Leipzig in 1846. The Kristian Gerhard Jebsen Foundation is the main sponsor and the exclusive private contributor to the competition. Note about the judges' voting: All of the scoring will be open to the public. This means that anyone will be able to see how the judges voted throughout the whole of the Competition. Read a further online story about this later in the week. Inside Pianist magazine: A full story on the 15th Edvard Grieg International Piano Competition will appear in a future issue of Pianist magazine.